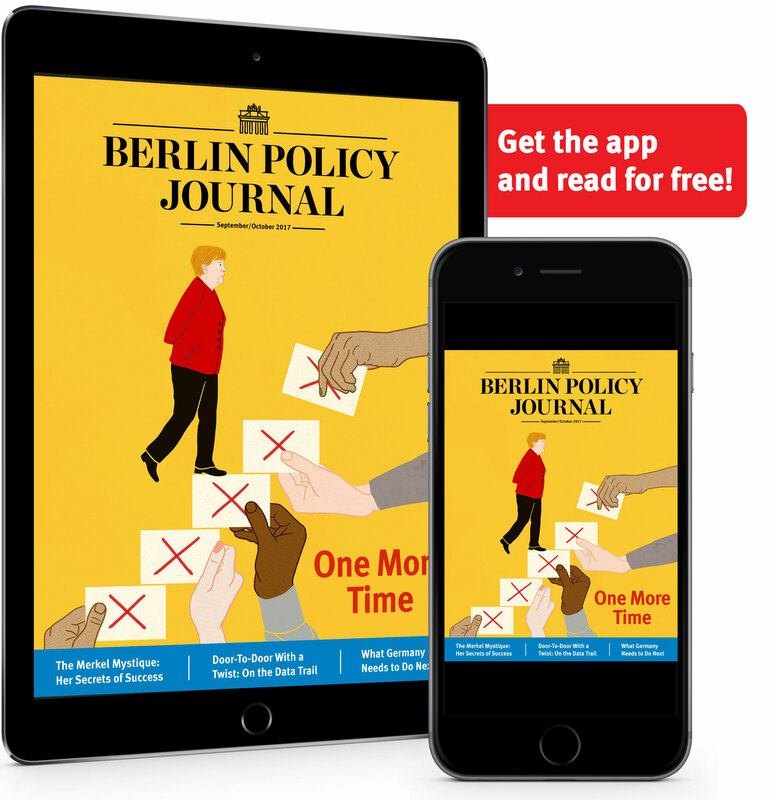 The US Senate’s decision to expand sanctions against Russia triggered indignation in Berlin, throwing Germany’s geopolitical ambitions concerning the Nord Stream 2 project into sharp relief. On June 15, the US Senate approved an act to sharply expand sanctions imposed on Russia in retaliation for its intervention in eastern Ukraine and annexation of Crimea in 2014. The broadly bi-partisan move that enshrined Barack Obama’s earlier executive orders – intended as a response to Moscow’s alleged cyber interference in US elections – was a stunning rebuke to US President Donald Trump’s Russia policy, essentially taking a broad swath of foreign policy out of his hands. In light of Trump’s stance toward Germany, the EU, and NATO, one might have expected a gigantic sigh of relief from Berlin. But this was not to be. Foreign Minister Sigmar Gabriel reacted with immediate indignation to a provision of the bill that would allow the US to target companies cooperating in the Russian-German Nord Stream 2 (NS2) gas pipeline project. A joint declaration with his NS2 partner, Austrian Chancellor Christian Kern, invoked a sort of euro-populism: “Europe’s energy supply is a matter for Europe, not the United States of America … Instruments for political sanctions should not be tied to economic interests.” The irony of citing such a principle in defense of NS2, considering Putin and Gazprom’s labyrinthine record of political and economic pressures on Ukraine, appears to have eluded the pair. Gabriel’s stance was echoed in an exceptionally stern statement from Chancellor Angela Merkel. Her comments, too, focused exclusively on NS2, ignoring the two key measures the Senate had added to existing sanctions. One would block partnerships with Russian firms anywhere in the world that provide Russia with the next-generation oil and gas technology it so urgently needs to sustain its hydrocarbon state, while the other, even more sweeping measure would actively block cooperation with Russian arms sales globally. Clearly, NS2-targeted sanctions are of lesser significance. What is perhaps most striking about the comments from Germany is that nothing affirmative was said about the Senate’s motives or rationale. Granted, Gabriel and Merkel – whose parties currently form a grand coalition, but will be battling it out in a September election – are in campaign mode, but this does not fundamentally explain the reasons for their focus on NS2. The explicit motivation of the Senate’s bill flows directly from what former FBI Director James Comey underlined as the “central message” of his June 8 Senate testimony: that he and the directors of all US intelligence agencies were unanimous in their assessment that the Russian government had conducted a cyber campaign against US elections. In fact, as later reported by The Washington Post, US “intelligence captured Putin’s specific instructions” on the operation’s objectives to discredit the election and defeat Democratic candidate Hillary Clinton. This determination is of acute interest to the German government. In the run-up to the German election, one might think expressions of solidarity with the Senate’s intent would accompany the NS2 complaints. So too, a section of the Senate’s bill explicitly asserts US commitment to Article 5 of the NATO Treaty, an assurance Trump so disturbingly refused to give to Germany and other member states during a recent summit. The Senate also “set up a process by which Congress can block any attempt by President Trump to scale back those sanctions” – another stunning rebuke to Trump, a man who campaigned on his ability to “do deals” with Putin, who immediately moved to lift sanctions against Russia when he assumed office, and now has several members of staff under FBI investigation for suspicious dealings with Moscow. Of course, such legislation is a blunt foreign policy instrument of the legislative branch in restraint of the executive. However, if the act now passes the House of Representatives it will essentially revoke Trump’s ability to set Russia and Ukraine policy. One would normally imagine such a development to be warmly welcomed by both Gabriel and Merkel. But appreciation of this point was absent in their initial, highly-publicized responses. Indeed, the Senate’s bill could severely sanction German, Austrian, and the other European firms working with Russian energy giant Gazprom on the pipeline project. NS2 is slated to bring an additional 55 billion cubic meters of Russian gas from arctic western Siberia to Germany each year. It purposefully avoids landfall in any Baltic, Eastern or Central European state of the former Soviet Union and the Warsaw Pact, running parallel to the Nord Stream pipeline completed in 2011. NS2 has been championed by Gabriel and former Social Democrat (SPD) Chancellor Gerhard Schröder and enjoys wide support among German elites and energy companies. Gabriel and Merkel’s responses reflect this. As it turns out, market reforms and liberal democracy did not take root. Russian President Vladimir Putin has repeatedly failed to re-industrialize on a modern basis. He sees the prospect of a rump, isolated, hydrocarbon-export-dependent Russia looming large. Since about 2006 – underlined by his 2007 Munich Security Conference rebuke to what he sees as an encroaching, US-dominated unipolar world – his strategy has been, at minimum, to wreck any further incorporation of Eastern and Central European states into the EU and NATO and, if possible, disrupt or even return some to Russia’s orbit. This is a rational and reasonably achievable strategy, albeit a dangerous and retrograde one. Turning to Russia’s gas export business with western Europe, the following assertions can be made: First, it is clear that Putin can at present interfere to only a limited extent in major gas transit states such as Poland and Ukraine while he depends on their willingness to transit Russian gas to Western Europe. Second, insofar as these states remain antagonistic toward Russia, Gazprom exports across their territories are vulnerable to government actions and radical elements within their populations. If a way to bypass these states could be found, Russian gas business with Western Europe would be ensured, and the present-day transit states could be subjected to heightened disruption and perhaps even re-incorporated into Russia’s orbit. The result, in broad terms, is the Kremlin’s strategy to replace existing pipelines transiting the former Soviet bloc with two huge pipeline systems – one extending south through Turkey and into EU states via the Aegean Sea (i.e., the Southern Stream pipeline system) and another arriving into western Europe from the north, via the Baltic Sea (i.e., the Nord Stream pipelines). New liquid natural gas (LNG) shipments will also be added, initially from Russia’s arctic Yamal peninsula, insofar as the necessary technology can be accessed. Notably, the new US sanctions will strike all parts of this geopolitically motivated gas export strategy. Especially in the case of Nord Stream and NS2, the geopolitical motivation is clear, as while there are commercial advantages to the route, the multibillion-dollar projects deliver gas originating from the same fields as Ukraine’s gas currently does, and the Ukraine system has considerably more capacity. There are two important elements to consider. First, the Neue Ostpolitik initiated by Chancellor Willy Brandt in the 1960s always favored direct economic ties between Germany and Russia, especially through large-scale energy projects between big West German corporations and Soviet state monopolies. This policy aimed to defuse Cold War tensions and foster liberal-democratic transition in Russia. While this strategy did contribute to détente and Russian approval of German reunification, Russia’s continued failure to establish free market and liberal-democratic norms and its flagrant violation of respecting European borders by invading Ukraine and annexing Crimea have dealt severe blows to the strategy’s fundamental logic. Though the mantra that peaceful relations are historically guaranteed by deep trade and economic ties is still constantly repeated by German elites, one finds quite broadly that the younger generations are more sanguine toward the real threat posed by an economically and politically unreformed, increasingly autocratic Russia. This brings us to the second key element. There is good reason to assume that, had Germany and the Western European states succeeded in rapidly fostering free market reforms and liberal democracy, and had they been able to incorporate states such as Georgia and Ukraine into the EU and NATO, German policy might now be quite different in the face of Putin’s revanchist Russia. However, over the past several years, even before the Maidan uprising in Ukraine, it was becoming clear that German elites were broadly losing confidence in the ability of Ukraine – as well as many other Eastern and Central European states – to reform, including some already within the EU and NATO. 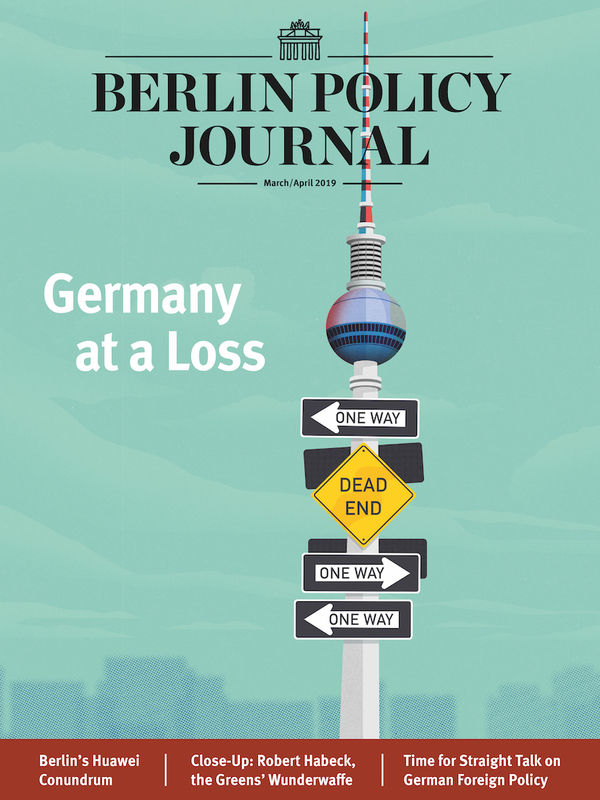 This is not exclusive to Germany: a similar transformation has been evident in Brussels, where stabilization has explicitly replaced transformation in its policy toward the EU’s eastern and southern neighbors. At the same time, Putin deeply impressed German elites using hard power – including armed interventions in Georgia, the North Caucuses, and Ukraine – and showing his willingness to risk economic and energy stability by interrupting gas flows to Germany and Western European states via Ukraine, all clearly with geopolitical intent. These gas cutoffs were particularly alarming in that they reduced or cut deliveries to Germany and other EU and European states and had the potential to open fissures between member states scrambling for gas in a crisis. German elites have become increasingly inclined to reduce the energy security risk to Germany, the EU, and its eastern neighbors from what is seen as Ukraine’s incorrigible energy sector corruption and a Russian-Ukrainian conflict that will not end for many years. The solution: eliminate its own and its EU allies’ dependence on Ukrainian transit by taking over the business itself. While this looks like a mere extension of the Neue Ostpolitik – and indeed, the long-time ideological, political, and business culture of cooperation with Russia as a German national strategy – facilitates today’s new geopolitical turn. Nevertheless, this Neue Neue Ostpolitik is responding to a new situation for the European project and German national interests, while facing new Russian contestation. Although there are significant numbers of German citizens, lower-ranking party members, and some major politicians who oppose the NS2 project, the reality – as reflected in Merkel and Gabriel’s condemnations of the new US sanctions bill – is that there is overwhelming support for NS2 from the country’s business and political elite. Whether consciously or not, this reflects a new geopolitical role for Germany with respect to Russia and the European project, one aiming to make it an indispensable middleman in energy matters. 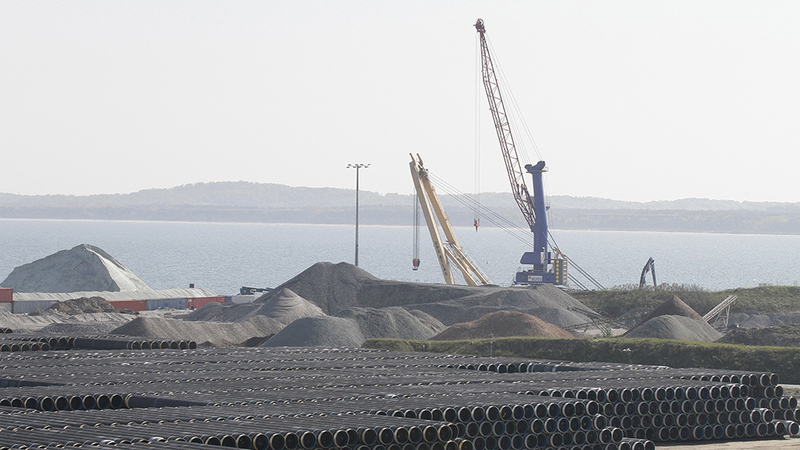 Completion of NS2 will ensure that the vast bulk of Russian gas imports to Europe will arrive directly to Germany. As numerous retired and active German diplomats, officials, and energy sector executives have asserted to me in recent years, “the Russians have always been our reliable energy partners” and “will not mess with us.” When the issue of Germany giving up its highly valuable soft-power influence in Eastern and Central European states where this policy is immediately seen as abandonment in the face of new Russian pressures, the German response is simply, “We will distribute the gas!” and, “Don’t they trust us to sell it to them?” It is asserted that Germany taking direct delivery of virtually all Russian gas and reselling it to them is their only path to true energy security. This can be spun two ways, either as realist or paternalist – in either case the geopolitical and energy security result is identical. This is not to say Berlin does not recognize there are risks in its continued dependence on an unreformed, corrupt, and likely increasingly unstable Russian state for gas supplies, even if those supplies no longer pass through Ukraine, Poland, and the like. However, the key difference from where Berlin sits is that in any future gas dispute with Russia, Germany will now be alone at the table facing its Gazprom and Kremlin partners, without the complications of Ukrainians (or perhaps Poles) engaged in heated struggles with Russia as a part of the process. This implies the establishment of a form of German hegemonic oversight in the European gas market, just as the global oil system has been subjected to a form of US hegemony globally. If there was confidence in Ukraine and other crucial Eastern and Central European states to actively reform and become economic, political, and perhaps military obstacles to Putin’s geopolitical aims, Germany might decide to ensure that the Ukrainians are treated properly by Gazprom and Russia and continue to rely on gas transiting Europe. Any such confidence has disappeared, however, and Germany is not prepared to use force to enforce, for example, Ukraine’s territorial integrity. Not everyone liked it when, in ancient times, all European roads led to Rome, but they were good roads that guaranteed commerce, and there were no alternatives. This is not unlike the present German attitude toward resolving problems presented by European and its own gas security. The US Senate, however, does not agree that it is time to give up on Ukrainian gas transit because it is not time to give up on these states generally in the face of Moscow’s pressures. The US is also much more inclined to resort to military power to curtail Russia’s actions. It would clearly prefer Germany (and the EU in general) to continue to push for transformation and incorporation of its eastern and southern neighbors. In this, Trump’s stance remains decidedly a minority opinion among US elites.